call originated to a 911 call to Dearborn for a women with burns standing on the Dearborn side of Greenfield. 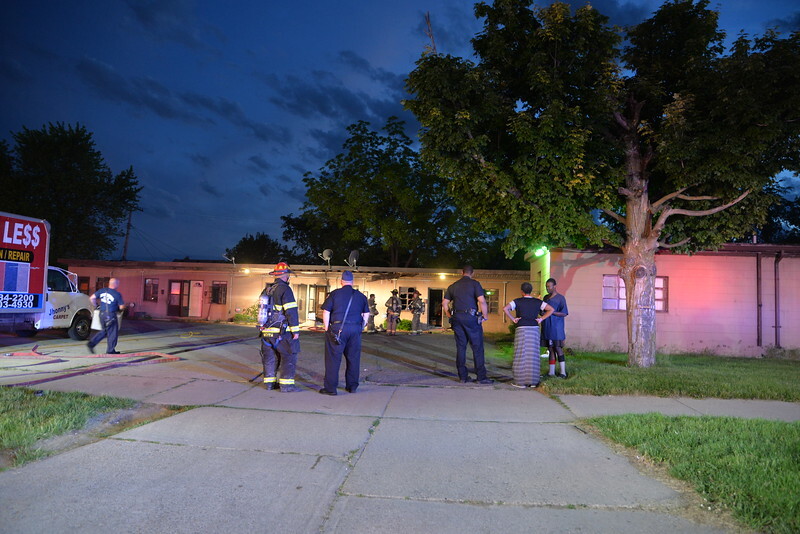 Rescue 4 arrived and found a working fire in an apartment building on the Detroit side. Dearborn Engine 4 made stretched and called for a full response. Engine 4 knocked down the fire and held it to a single apartment. Dearborn and Detroit ems transported two to hospitals with burns. Dearborn Engines 1,4 Rescues 1,4 Ladder 4, F2 (Batt chief) Detroit Engine 55 (R1) Ladder 27 and Chief 2.